Low Water Pressure? High Water Bills? Rusty/Bad Tasting Water? 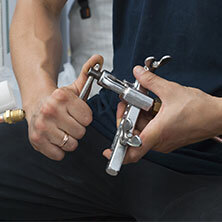 Repipers VS Plumbers – If you suddenly find yourself facing issues with a slab leak or pin hole leak or even signs of a leak but you don’t know where it’s coming from, your first reaction might be to call a repipe plumber. Although a plumber may be knowledgeable about house plumbing repair that how to locate the source of a leak and what may be causing it, they are not the right choice for doing this kind of work. You need the expertise of a Repiper! Plumbers aren’t always properly equipped for the kind of help you need. A Repiper is the best choice for repipe plumbing when it comes to dealing with leak detection and precisely determining what the cause of the leak is. Once the problem is correctly diagnosed, our repipe plumbing team at Integrity Repipe has the experienced repipers and the proper tools and techniques required for home plumbing repair to quickly fix leaks or any other problems you may have with your pipe reroute and water system in a timely and cost-effective manner that A plumber simply can’t match. We are a Family Owned & Operated! We have a Life Time Guarantee on Materials and Labor! We were voted the #1 Turnkey Ready Company in the USA by 320,000 homeowners who had their homes repiped under the nationwide Cox vs Shell Polybutylene class action lawsuit. Cox vs Shell is the only time the best companies in the country competed nationwide and We Came Out On Top because provide excellent service on every project! Get a lifetime guarantee on material & installation by highly trained and certified specialist with over 26 years of experience. 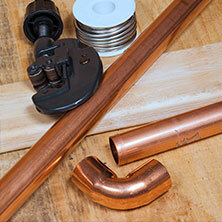 We offer the best Copper & PEX systems in the business. Voted #1 for Copper & PEX systems… Our Master Repiper has installed type “L” copper systems for 26 years, and UPONOR PEX “A” systems for 23 years. We have the experience to get the job done! Voted #1 in the Country for Copper & PEX systems… We can install the world’s first (1968), best, and most widely used Pex piping systems for single family homes and residential units. 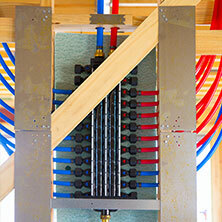 Voted #1 Copper & PEX Repiper … Why do plumbing professionals choose Uponor Aqua PEX tubing and ProPEX fittings as their preferred system? Because it out-performs copper! Chuck Kagy. 949-637-3344, Pex A Jacana Cir. Laguna Niguel. Great Price. Great Drywall. Best warranty. call me ! Hire With Confidence. See our reviews in Yelp! You must watch this news ABC News Center 7 story about a hidden threat affecting homes in California. This is a far-reaching problem most areas of California not just Orange County… It’s not a matter of if this could happen to you, it’s a matter of when!